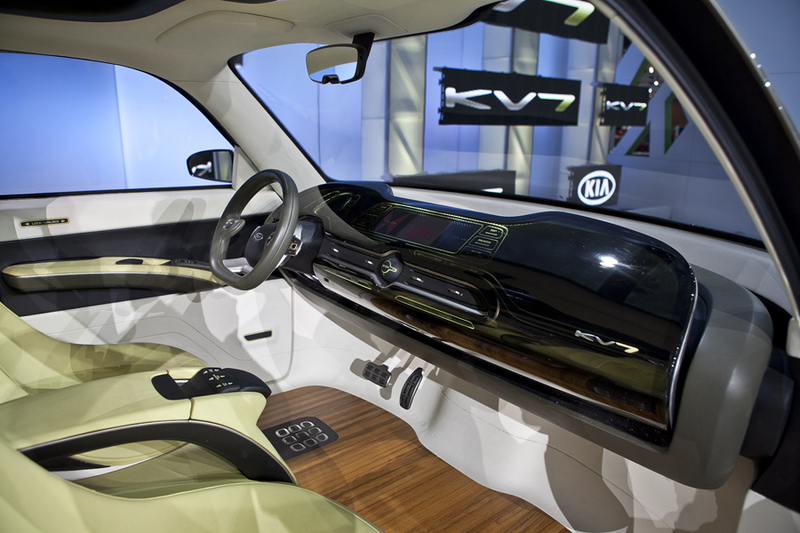 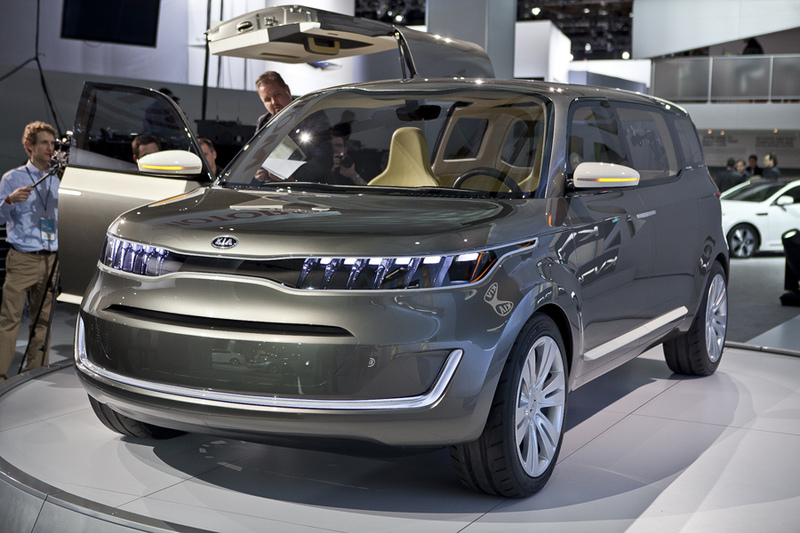 Kia says it's embracing the box with his KV7 concept. 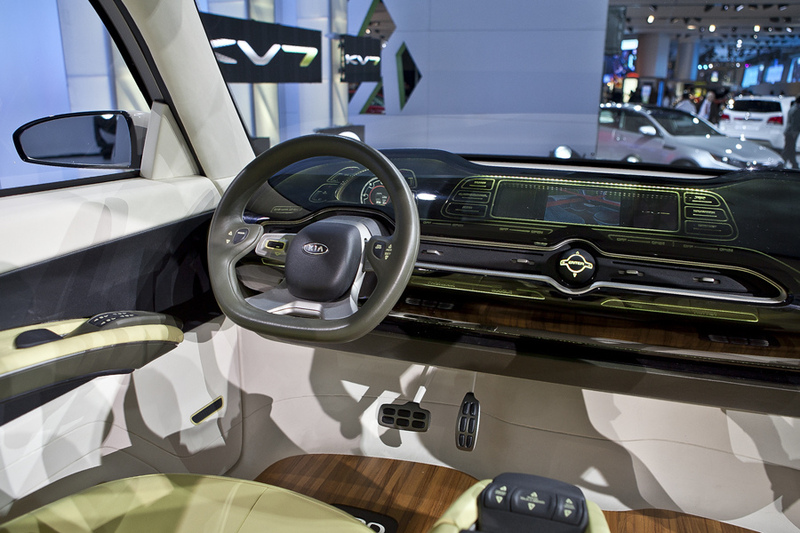 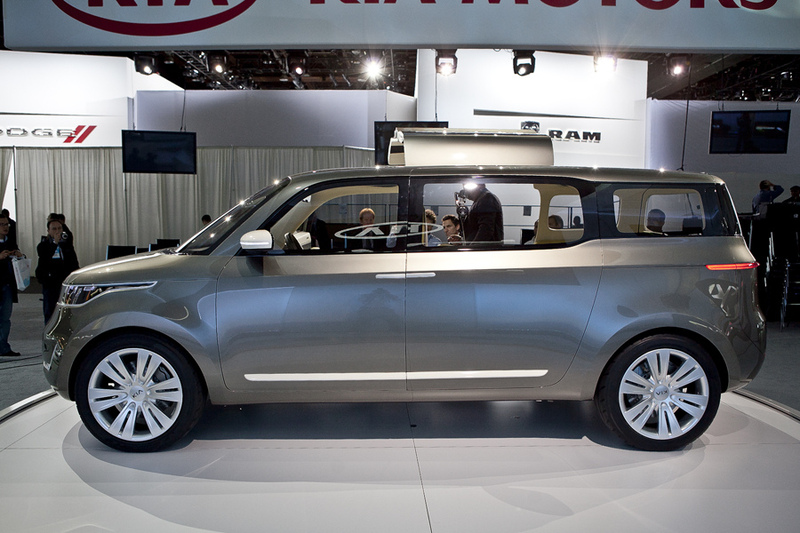 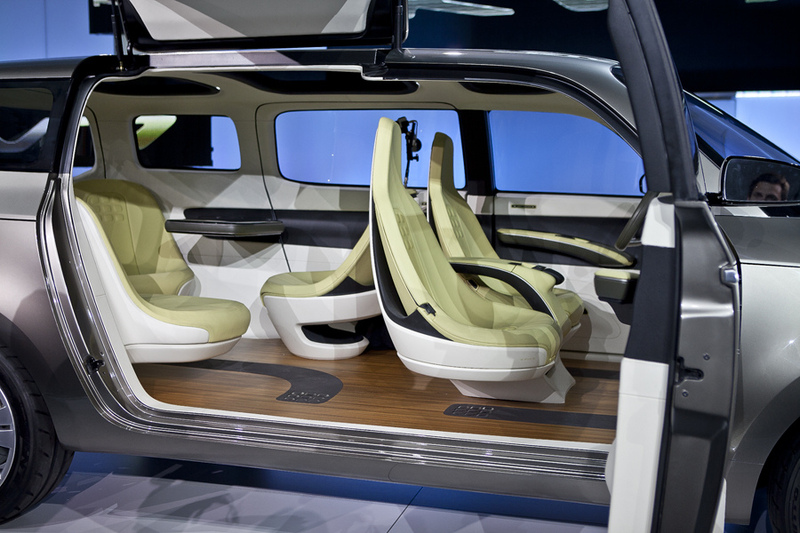 Instead of trying to make this minivan concept of anything other than a cash figure, took the Kia functional design and tried to spruce it up. 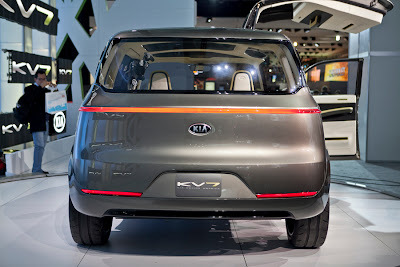 The KV7 is about the size of today's current crop of minivans, but there are about 9 inches shorter bumper to bumper. 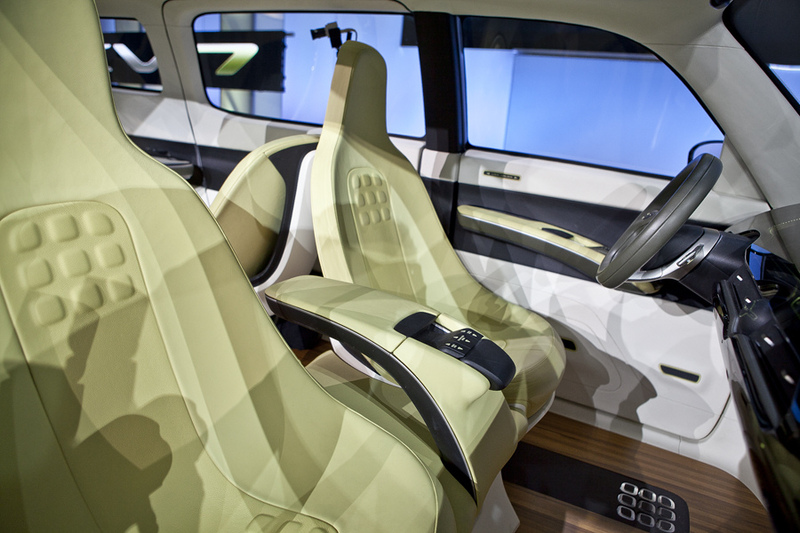 The dashboard is an electronic explosion, with all the control lights are a luminous green. 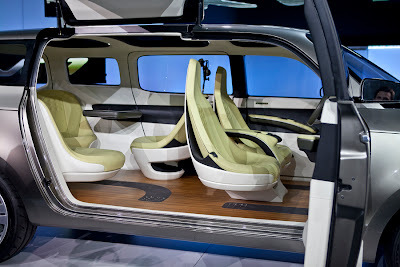 There is a lounge-like atmosphere with a sofa, swivel chairs and teak wood flooring. 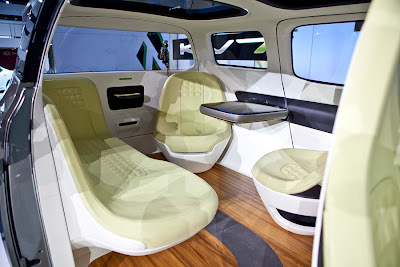 The lounge has been renovated with a "floating" tabletop computer in the back.